Just paid up! Thanks for getting the group buy together! You're welcome and thank you. I'm throwing another 120 at it today myself. I'll update the list soon. Btw I'd love to do the racing your doing right now. I really miss going fast and turning left but I was in a real expensive class, for a local racer, and just didn't have 10k a year to basically throw away. Just sent another one, short 10 but make it up on the next . Another update and again just throwing it out there that I'm taking payments now for whomever is ready to pay. If any of you guys want to do partial payments instead of all at once please feel free to. I think everyone here understands there's more to life than our 3g's and have other things to worry about besides them. A big thank you to 2ndGenGuy and 2oodoor for their payments. I also just emailed Bob and let him know we are getting close to being ready to place the order. Hopefully a few more people can swing paying by the end of the month.....I'm not promising but if a few more people can pay I may be able to swing the rest by months end or middle of next month. Lets keep our fingers crossed and again thanks to everyone!!!! wow you guys are close. 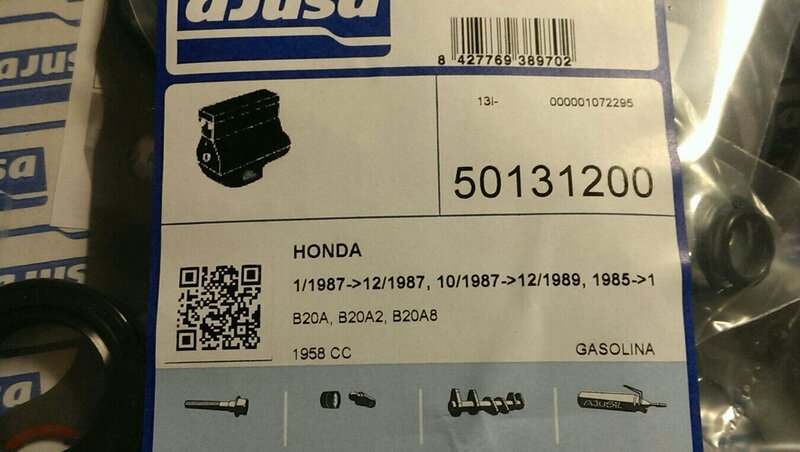 I had to order mine thru Florida that delt with parts of the Caribean and i guess there are some b20 accords driving around. Awesome. Thanks I'll try to update the spreadsheet today if time permits. Anyone who's ready to pay were getting close to me being able to order these. I don't always update for myself but I been putting a little towards this every week too. If any of you guys want to do partial payments instead of all at once please feel free to. Well for you guys that have contributed I would like to say thank you very much. As it stands now, if nothing changes or unforeseen happens, these should be ordered Friday. I'm throwing the rest of the $ in myself and praying I can sell them on eBay or something. 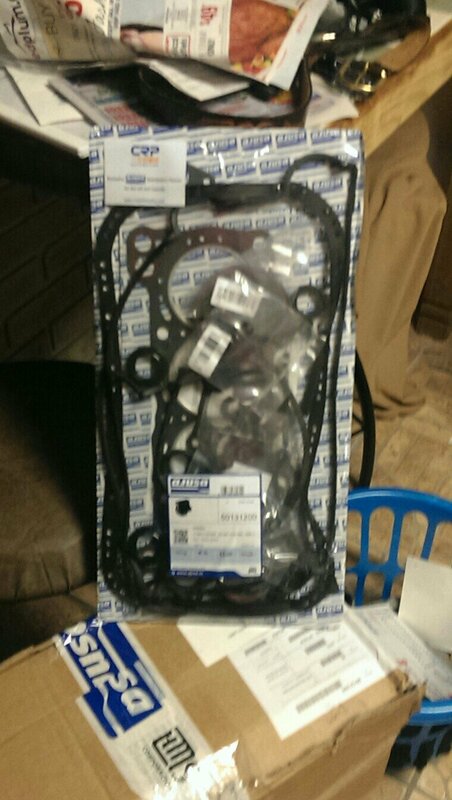 So when these come in if you know someone looking for B20A gaskets please send them my way. Yeah I hear you. I only wanted maybe 3 sets. One to reseal the motor before i set it in and 2 just in case it needs a rebuild and/or head somewhere along the way. I think i'm going to end up with 15 sets give or take a couple, so I certainly hope I can sell some of them considering I could've got an overseas member to get me a set or two. I wanted to help out other members too though, then it became a challenge to get it done, then it seemed like interest dropped off for whatever reason but by then I was in too deep and had to roll with it. I appreciate what you've done on this group buy. You should PM some of the people on that list. Most of them seem like they would pay them, they're active people on here, and maybe just need a reminder. If you have some sets left over, I would be willing to buy another set come October. Thanks John I know you do appreciate it and in actuality I really wanted to help everyone out since it's such a hard gasket set to find. Just figured more people would jump on it because of that. "Once we receive your order, we’ll go ahead and order these sets for you; this will take a couple of months to receive in (they are not part of our usual offering but can be made to order)." so huge thanks to Bob too he's definitely going above and beyond instead of just saying no it's not available like everyone else has. I think I have PM'ed everyone a couple of times possibly and I don't like to be a pain in the a** but I may have to be. By the response I got from a couple of people it appeared that maybe they were waiting until this really was going to happen before they paid. Well it's really happening now, I just sent Bob an email request to place the order and a PO # fifteen minutes ago. Hopefully some of the guys will see this and get on board with payment. I most definitely will have extra sets. Never know what may happen and i may need a set or two. If I happen across another B20 for a good price I'll probably put one in the sedan too if it's an automatic. Anyways, at this point it looks like I'll have about 16 sets altogether. I'd like to keep maybe 4 at the most for myself so an extra 12 sets at this point. It is now official. B20A gasket sets are ordered. No ETA yet but they are ordered. great news! Unfortunately I already have a spare set and head gasket with a few water pumps so I just can't justify getting any more than 1.. if my situation changes I will buy more from you Steve. Just got email confirmation that the order has been placed and charged to my card. Latest update from my supplier is I should have these in mid December if everything goes the way it's supposed to. Merry Christmas if that's the case. Okay who wants some now since they are here? Last edited by apache07x; 12-06-2013 at 03:19 PM. I still need to get my two sets, I believe. Trying to get back on my lead on a B20A. You are correct. I don't have payment from you yet.